Why should I look at Target Options? Can't I just go straight to my study path? Yes, you can go straight into your study path after completing the initial diagnostic. 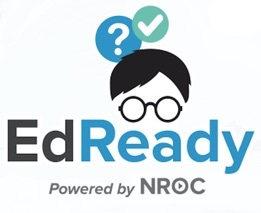 As you demonstrate further mastery, your EdReady score will update as expected. However, it may not be necessary for you to master every single unit – it depends on your goals. By considering your target options and then building a study path specific to the goal you set, you may save yourself a lot of time and hassle and achieve your goals more efficiently.